O’REILLY: Continuing now with our reporting on this year’s Christmas controversy situation. Many of the actions against public displays of Christmas taken by atheist organizations. With us now David Silverman. President of the American Atheist group. DAVID SILVERMAN, PRESIDENT, AMERICAN ATHEISTS: Thanks for having me. O’REILLY: I’m really trying to get and I’m not being a wise guy here. I will deal with the hard stuff with Governor Chafeee tomorrow. I’m trying to give you a point of view here. You are an atheist, you’re a non- believer. I respect that. That’s fine. I don’t look down on you. I don’t think you are pinhead. O’REILLY: If you want to be an atheist that’s why we have America. You can be with it. But, why are you messing around with my tradition? Why are you messing around with Christmas? Just leave it alone. Is there a compelling reason for you mess around with it? SILVERMAN: Well we’re only messing around — we are not messing around with anything. We are stopping the government from preferring one religion over another. O’REILLY: No, no, no. You listen to me and then you answer my questions. SILVERMAN: I’m trying to answer your questions. Go ahead. O’REILLY: What religion is involved with Christmas? What religion? O’REILLY: That’s not a religion. That’s a philosophy. SILVERMAN: Okay. So, since the dawn of time the Winter Solstice has been celebrated by multiple religions. SILVERMAN: The Winter Solstice. The shortest day of the year. It’s been celebrated with evergreen trees because they don’t die, giving gifts, family, friends, song. 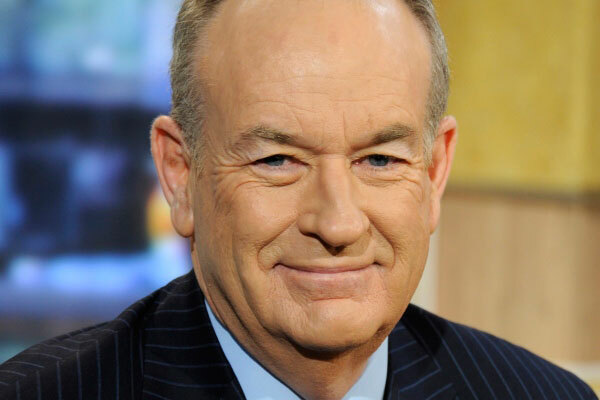 O’REILLY: Do you like the winter solstice? O’REILLY: So, why don’t you celebrate it? O’REILLY: You can celebrate Winter Solstice. SILVERMAN: But our government can’t take sides. The government doesn’t this is a good religion, this is a bad religion. The government can’t say this is a Christmas tree. O’REILLY: Mr. Silverman. It is a fact that Christianity is not a religion it is a philosophy. If the government were saying that the Methodist religion, all right, deserves a special place in the public square I will be on your side. O’REILLY: Correct. It is a philosophy. SILVERMAN: You and I are fundamentally going to disagree on that point. SILVERMAN: That’s fine you can call me that. O’REILLY: Roman Catholicism is a religion. Judaism is a religion. SILVERMAN: You know what, they’re all sects of Christianity. It’s really not cool for you to try and.